Hello from Sintra, Portugal! 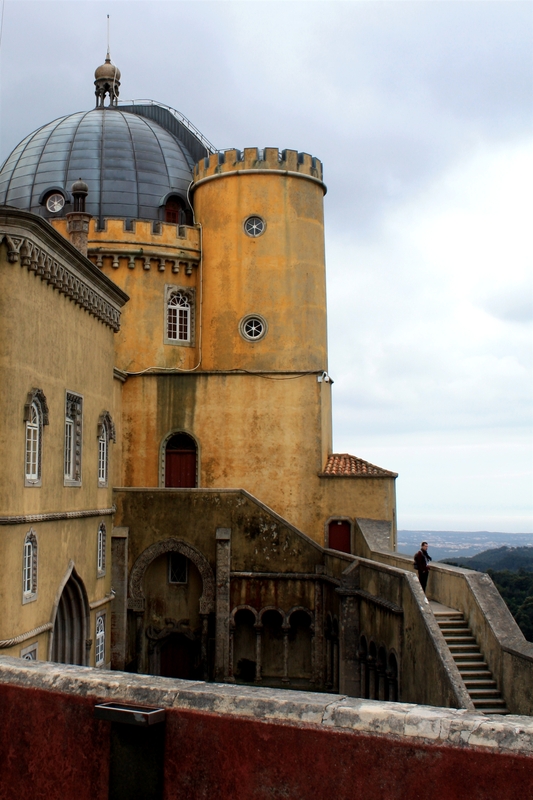 If you are just joining us, you may also want to read Sintra Part 1 and Sintra Part 2. 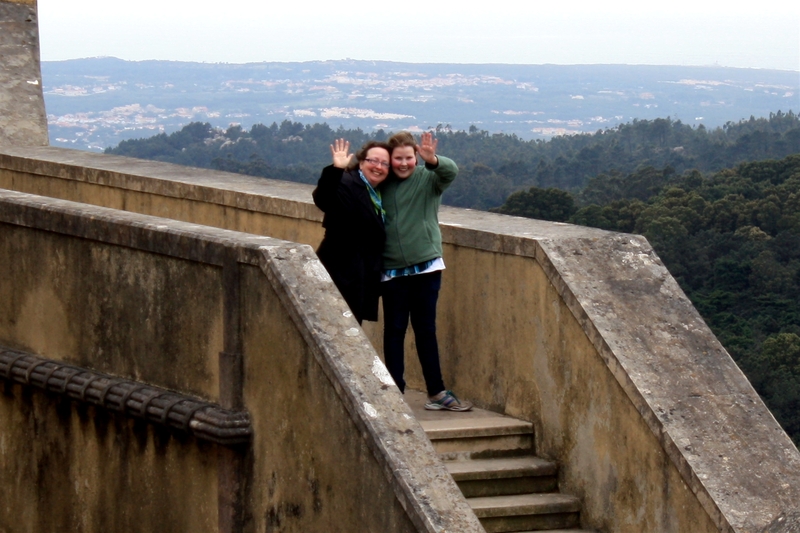 Discouraged by the time we wasted looking for Sintra’s apparently non-existent Modern Art Museum, we raced up to the Palácio Nacional da Pena on a hillside overlooking the town. This place is amazing. It was built from 1842-1854 by Ferdinand II (who was a cousin of Queen Victoria’s husband, Albert), who had married the Portuguese queen Maria II. He built upon the ruins of a monastery and chapel that dated to around 1500 AD, and he included vault arches and Islamic elements in the design. The resulting façade is a fabulous mix of colors and styles. We hiked up a big hill through lovely lakes and gardens (with a very frustrated Miss Quinland, who was not thrilled about the hike when there was a closer parking lot) until we reached the colorful castle. We braved the windswept terrace, climbed the walls, and poked about to get the best views for our photos. Everyone’s favorite room was the Queen’s bedroom, but we were not allowed to take photos in the interior of this castle. So sad! The biggest hall is currently being restored; it was cool to see the workers sitting right there, working on cleaning and repairing the furniture. 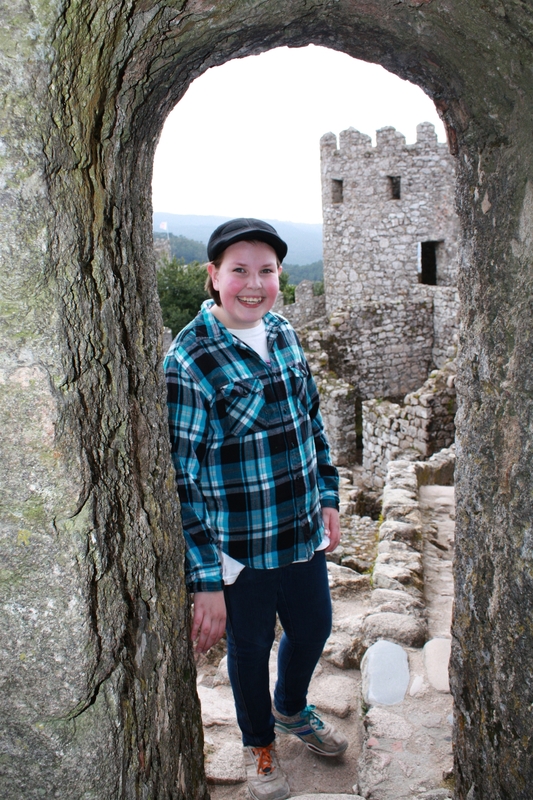 From Palácio da Pena, it was a mostly-downhill hike to the Castelo dos Mouros (that’s an especially good one: Castel-oo doosh More-oosh). David and I had been here before, back in 1994, but I didn’t remember it well. 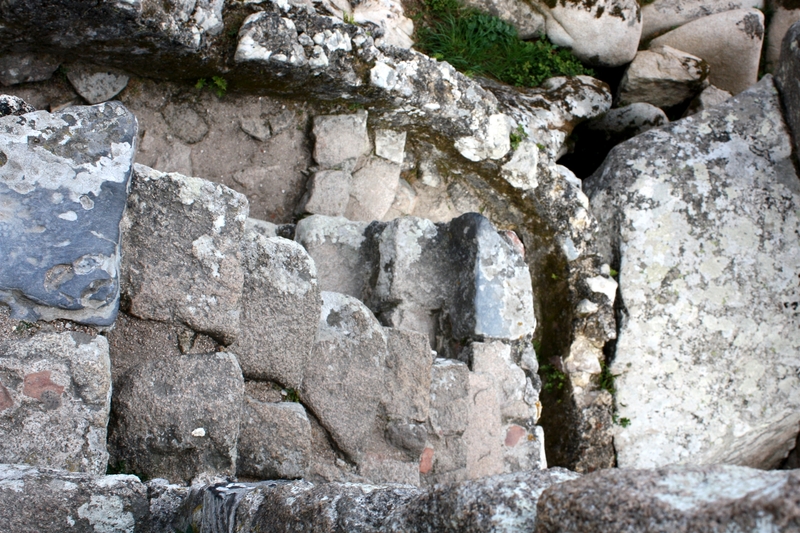 The castle – in true Portuguese style – had no safety rails or railings anywhere, and you were warned to climb around at your own risk. D and Q made it up into one tower, then sent me up higher to get more photos. Okay, I volunteered. I love that stuff. The only time I felt a bit queasy was when I had to descend a stone staircase with uneven treads, no railing, and a switchback in the middle, all while carrying the big camera in one hand. I am not ashamed to say I sat right down on that one for a while. See the switchback? See the fall from a great height if you don’t negotiate the switchback properly? Yikes! When I got down off the walls, David used his long legs to go get the car while Q and I hiked back to the road. 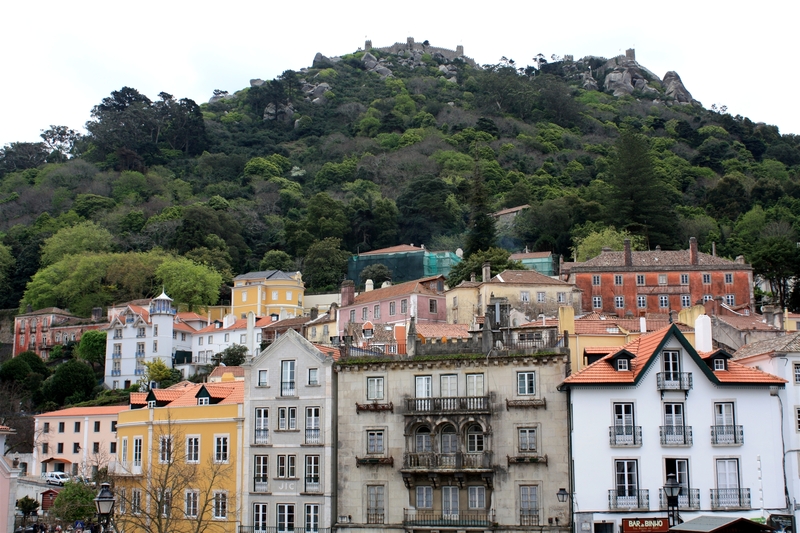 Stay tuned for even more Sintra goodness! Heck, we should have stayed in Sintra for three weeks! 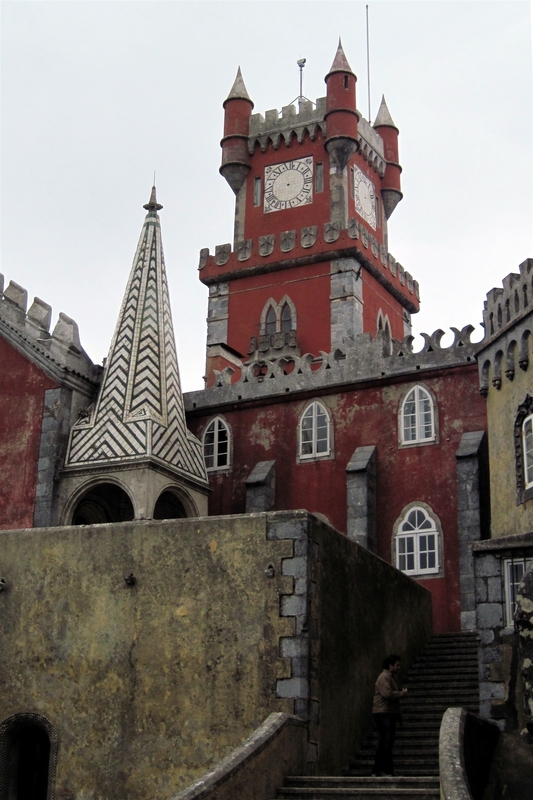 This castle is not from true Portuguese Style. There is no such thing as true Portuguese Style once that there are several different etnic Nations in the country. And this castle is Moorish. By this i ben it was made by the moors when they came to Europe trying to conquer it. 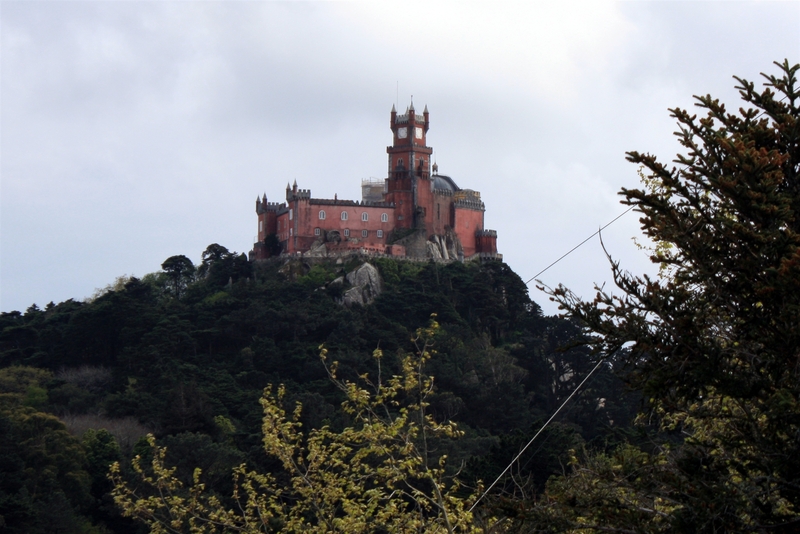 There is nothing Portuguese about this castle. Indeed! You are absolutely right. 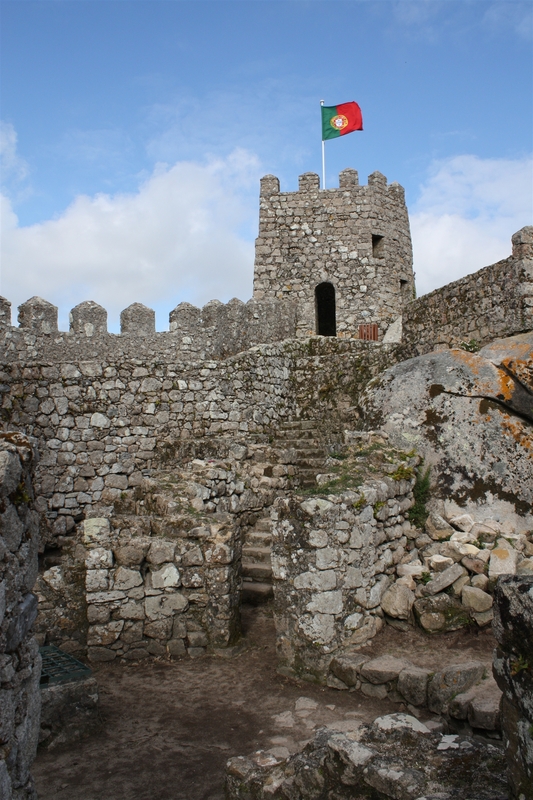 I wasn’t trying to say that the castle itself is “in true Portuguese style;” rather, that the lack of railings was reflective of the relaxed Portuguese attitude toward safety features at national monuments as compared to the stringent American regulations. Thanks for visiting the blog! I appreciate your perspective.